The new term for these three directors is four years, and last from October 19, 2014, until October 19, 2018. Any new elected directors terms will last two years from the day each of them is elected. This will stagger the coming and going of directors within our Board of Directors. This four year term and the staggering of new elected directors was majority decided during our June 29, 2006 POA meeting. If you have any questions concerning our Board of Directors, please first carefully review our BYLAWS and COVENANTS, z	and if you still have questions, contact our President, Bill Barstis. The Board of Directors has defined and is now enforcing NEIGHBORHOOD PERIMETER FENCE REQUIREMENTS. So as of January 01, 2005, all perimeter property owners/occupants must construct and maintain a fence to provide a 100% "physical border" between the inside and outside of Harbortowne. NOTE: On 01/27/2007, after nearly two years of repeated attempts for PRVWSD to enforce any special fencing requirements along Madison Landing Circle, our perimeter fencing requirements have been modified. Please call Bill Barstis with any questions or concerns. Lots 2, 3, 4, and 5 are now required to construct and maintain a 8' BRICK & WROUGHT IRON Step-Down fence on the perimeter lot line of their property that meets the exact specifications of the fence that is on the perimeter lot lines of lot 4. Before constructing the fence, contact Bill Barstis for more information on this. Lots 57, 58, 59, and 1 are now required to construct and maintain a BRICK & WROUGHT IRON perimeter fence (as needed to properly connect the existing fence) that meets the exact specifications of lot 57's south-side fence. Before constructing the fence, contact Bill Barstis for more information on this. Lots 6, 7, 8, 9, 17, 18, 19, 20, 21, 26, 27, 28, 29, 34, 35, 36, and 37 are now required to construct and maintain a 6' minimum height 100% COPPERWOOD Step-Down or 6' minimum height BRICK & WROUGHT IRON Step-Down fence on the perimeter lot line of their property. Before constructing the fence, contact Bill Barstis for more information on this. Lots 38, 39, 40, 41, and 42 are now required to construct and maintain a 6' minimum height 100% COPPERWOOD Step-Down fence on the perimeter lot line of their property. Before constructing the fence, contact Bill Barstis for more information on this. Lots 43, 44, 45, 51, 52, 53, and 54 are now required to construct and maintain a 8' minimum height 100% COPPERWOOD Step-Down fence on the perimeter lot line of their property. Before constructing the fence, contact Bill Barstis for more information on this. Harbortowne BOARD OF DIRECTORS MEET on the second Wednesday of every odd-numbered month at Reservoir Point at 6:00 pm. All members are welcome to attend. Members are invited to listen to the proceedings. If a member desires to speak at a meeting, he or she shall submit a request to any Board member one week in advance of the meeting date so that the speaker may be included on the Agenda. Harbortowne ** HOMEOWNERS MEET the *second Thursday of September at Reservoir Point at 6:00 pm (if not available, new date and/or location will be posted). All members should attend. *If a vote is taken to decide the outcome of a debated issue, absent homeowners' votes will be cast to agree with the majority vote of the Board of Directors. Members are to respect and follow the Meeting Agenda. If a member desires to introduce a new issue or idea at a meeting, he or she shall submit a request to any Board member two weeks in advance of the meeting date so that the Board of Directors can prepare to assure the Meeting Agenda accommodates the speaker. Harbortowne EMERGENCY MEETINGS will be held within five working days when requested by homeowners of three or more Harbortowne homes. The request must be made to the POA President, Vice-President, or Treasurer. For these meetings to be official, they must be posted to our web site, and must be advertised by our POA President, Vice-President, or Treasurer, creating and distributing handouts to everyone's Harbortowne mailboxes. All members should attend. If a vote is taken to decide the outcome of a debated issue, absent homeowners' votes will be forfeited. Please view Harbortowne's Current Property Lines. 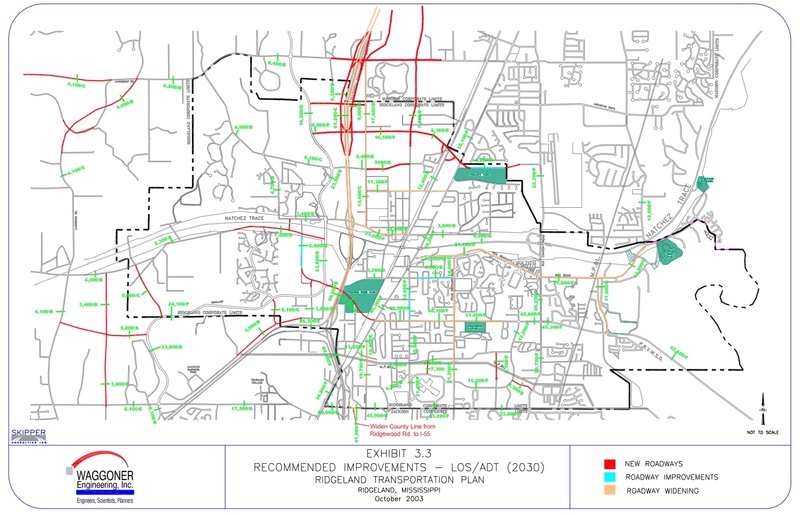 Please view Ridgeland's Current Transportation Plan. Mark S. Jordan no longer owns any of his initial-PRVWSD-leased "Mark S. Jordan co.-owned" Harbortowne lots. The current Harbortowne POA Board of Directors has assumed all roles and responsibilities for this Harbortowne neighborhood/development, 100% managing and administering our "STATE OF MISSISSIPPI, COUNTY OF MADISON, DECLARATION OF COVENANTS, CONDITIONS AND RESTRICTIONS FOR HARBORTOWNE" and our "BYLAWS OF HARBORTOWNE PROPERTY OWNERS' ASSOCIATION, INC." Sole Responsibility of the only remaining Harbortowne service controlled by Mark S. Jordan co. (Architectuiral Reviews and Approvals for Harbortowne), has now ben transfered to the current Harbortowne POA Board of Directors. Contact our Treasurer, Lisa Walton.